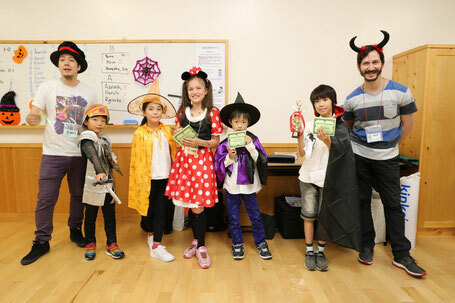 Tokyo Bilingual Chess Club's Halloween Scholastic Tournament held on October 1, 2016; our first all day event with the time control of 25 min. + 5 sec. increment. 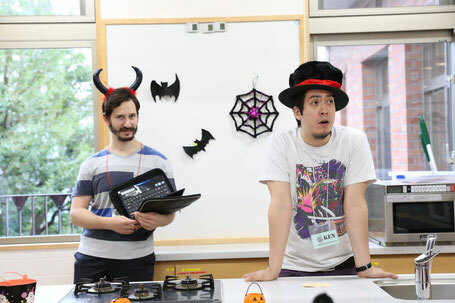 We know October 1st was a bit early for Halloween, but really fun! 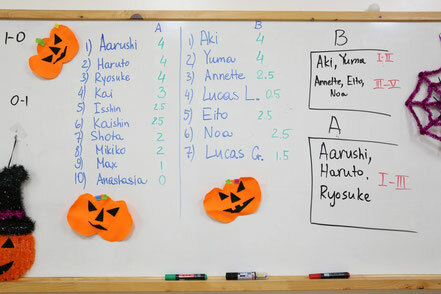 The Tournament Director, Alex A., and Teacher Ken made the pairings each round and settled any type of dispute that arose during the game. Please give them a respect for the difficult job they do. We could not hold chess tournaments without them! There were 17 brave souls, that came out during our Halloween Haunt from at least 11 schools. This is one of the best tournaments since all kids dress up in their Halloween costumes! Although many people believe that chess is just a game, there are many scientific and artistic applications that the game has to offer. Halloween lends itself perfectly to the artistic elements of the game. 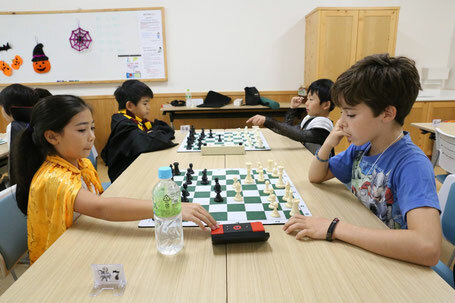 Children played five rounds showing fine sportsmanship as well as fine ability. When two or more players ended up with the same score, we will have a blitz chess play-off, in which champions play one game of five-minute chess to determine who wins which trophy. 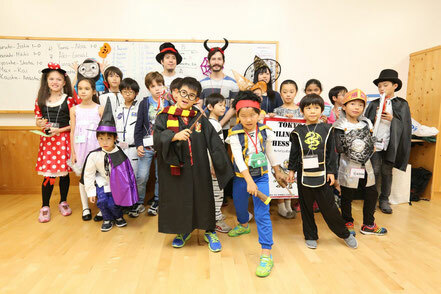 Kids and teachers dressed up with the spooky costumes and Lucas Lin dressed as Harry Potter won the best costume prize! 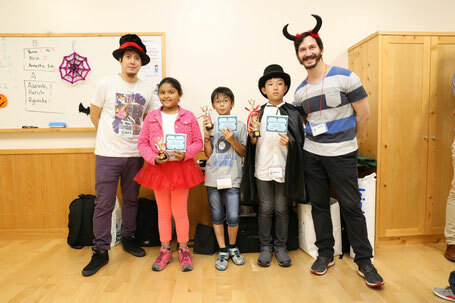 Congratulations to everyone who came out to participate and make for a great chess community event! 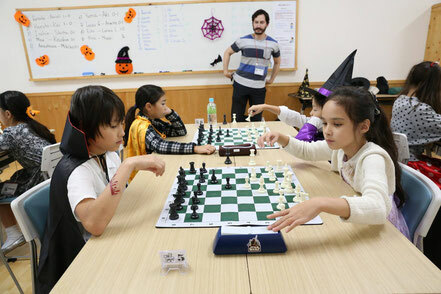 Thank you to all who came out to and participated the Halloween Chess Tournament. Again, someone with a Halloween birthday may say Oct. 1 is a bit early, hehehe. Stay tuned for the New Year Tournament in 2017!